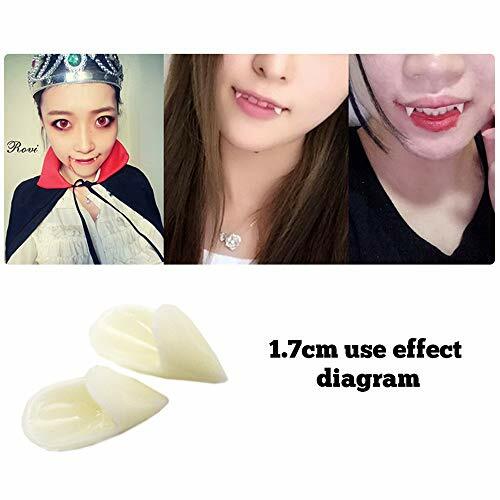 5 Pieces vampire fangs kit 4 sizes custom fangs vampire teeth fake dentures with 1 tube teeth pellets adhesive for cosplay party props Halloween party fangs How to use: Heat the teeth adhesive beads from white to clear (hot water is ok), then scoop them out and press onto your teeth to make a mold, then take proper fake fangs out and press it on adhesive for a while (the beads cool very quickly, so you need handle them quickly). 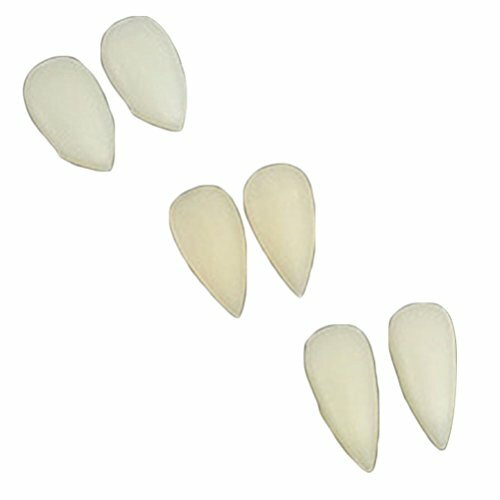 Specifications: Material: safe resin Color: white Size: approx. 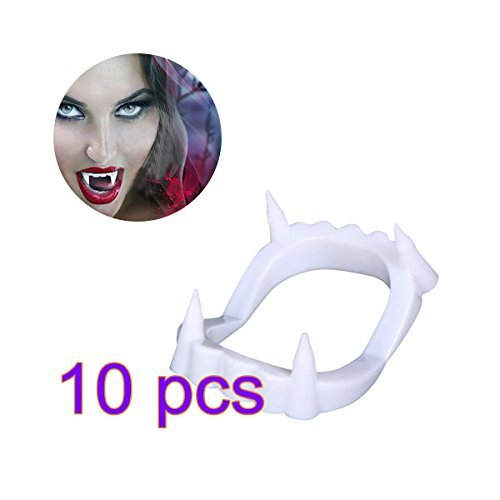 13 mm, 15 mm, 17 mm, 19 mm Quantity: 4 pairs vampire fangs with 1 tube teeth pellets Package: transparent box Package contents: 1 Pair of 13 mm vampire fangs 1 Pair of 15 mm Halloween fangs 1 Pair of 17 mm fake dentures 1 Pair of 19 mm Halloween vampire teeth 1 Tube of vampire fang solid adhesives Warm notice: The adhesive beads cool very quickly, so you need handle them quickly. 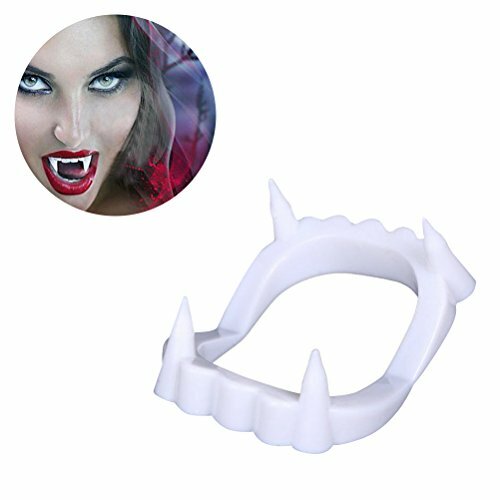 These Halloween decorative tooth are small items, not suitable for children under 3 years old. 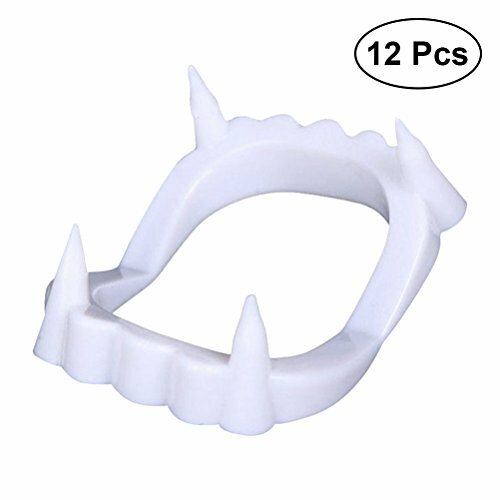 Children should use them under the supervision of adults. 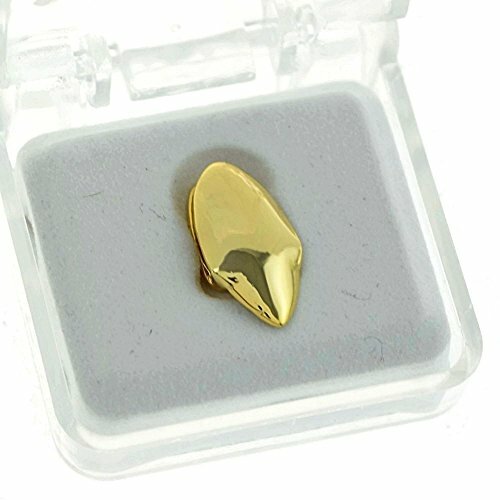 Show your fangs with a 14K gold plated Dracula fang upper canine tooth grillz. 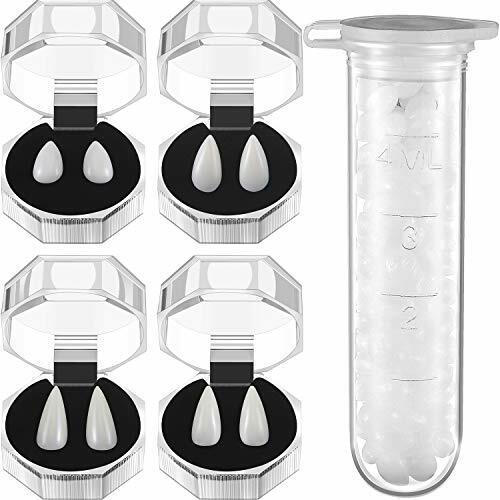 Grab one or go all out with a pair of two for a full set that will impress.